The Social Media for Musicians Playlist will focus on how musicians can utilize Social Media to their advantage. Praverb will address how to utilize Twitter, Google, and other platforms effectively. The last tutorial shows you how to setup a HootSuite account from scratch. Enjoy! This Tutorial was inspired by a Podcast from Michael Brandvold and Brian Thompson. Twitter gives you the power to find your audience and find out who is posting your material. Praverb, shows you how to insert your song, project, and hashtag into Twitter Search to find out who is posting your material. Utilize Twitter Search to find your audience in under 20 minutes a day. Your Twitter Bio is the first thing that new followers will see when they decide whether to follow you or not. For this tutorial I focused on Skyzoo's Twitter Bio. There are 3 Necessary Additions that will enhance your Twitter bio. 1. Establish What You Do: Establish what you do and place those keywords within the 160 characters. It doesn't matter if you are an emcee, beatmaker, Dj, singer, band, etc. Establish the reason why people should follow you. 2. Provide Contact Information: Providing contact information is vital if you are working towards collaborations, press coverage, and/or booking. You can also include your manager's information. 3. Provide a Call To Action: Imagine, your audience enjoys your tweets and your information yet you do not place something there to further stimulate their senses. A CTA in regards to music can be a link to your Website, your latest album, a vinyl release, and more. Generally you want to include the website that you use the most. Award your audience when they post or share your material. Use Twitter Search to find out who is posting your comment and reply. The key to the replies is to make sure they are genuine. You want the replies to be personal. The only way to make a reply personal is to address the recipient by name. Furthermore, thank the poster for taking the time to share your content. Make sure that you are not just copy and pasting the same reply...speak to your poster's interest, this requires a little research yet it leads to establishing and maintaining relationships. Using Google Search is just as rewarding as using Twitter Search. As musicians we need to know who is posting our content. 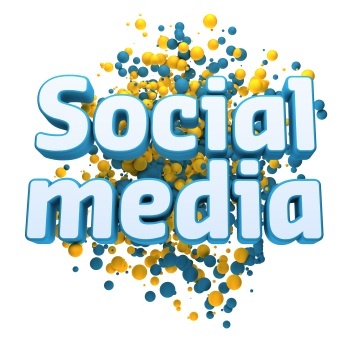 HootSuite is an effective tool that gives you control over your Social Media Content. This tutorial will focus on how to setup a Hootsuite account, how to connect your Twitter account and how to automate tweets. Enjoy! What are some other Social Media platforms that you use to share information?